The Blood Care Foundation operates a global network of blood banks, enabling it to provide blood to almost any location in the world within 12 - 18 hours, subject to the availability of scheduled air services. Every courier is either an anaesthetist or paramedic, trained in cardio-pulmonary resuscitation and is capable of establishing a transfusion, even in the shocked patient. If you were involved in an accident or taken seriously ill and need an emergency blood transfusion, can you be sure that the blood you are about to be given has been properly screened? 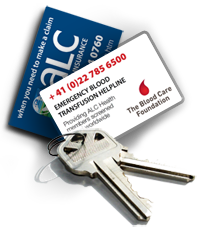 The Blood Care Foundation operates a Blood Care Programme providing fully screened blood in an emergency to ALC Health members in any part of the world. Should an emergency occur, as soon as our 24 hour emergency alarm centre is advised that you need a blood transfusion, we will contact the treating physician to identify your transfusion requirements. 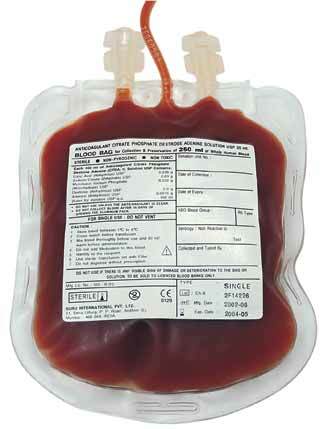 The Blood Care Foundation will immediately arrange for resuscitation fluids from a Regional Supply Point (RSP) to be delivered quickly by courier to wherever in the world it is needed.